Leon Jacob, a suspect in a high-profile murder-for-hire case, spoke exclusively to ABC13 about his past. 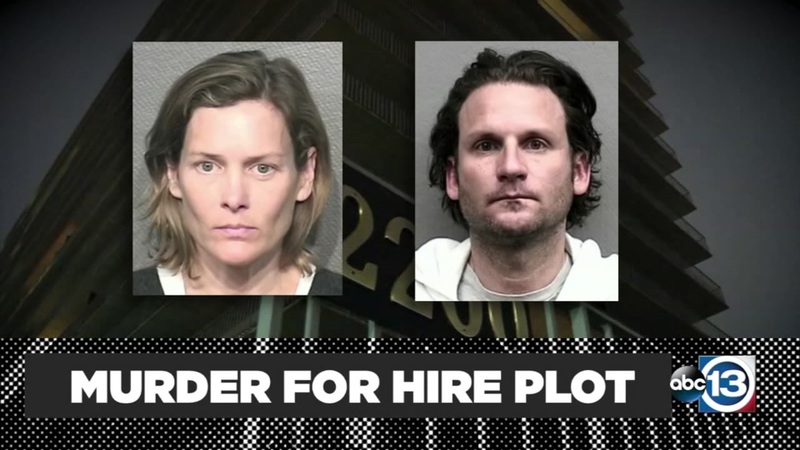 HOUSTON (KTRK) -- Leon Jacob once again spoke exclusively to Eyewitness News from behind bars Wednesday, saying he was initially placed on suicide watch after Valerie McDaniel committed suicide last week. "I would never hurt myself. I would never do something like that," Jacob said. "Suicide is a permanent solution to a temporary problem. Valerie left me. Now, I'm here alone." Jacob also talked about his previous marriage to Annie Jacob, with whom he has two children under the age of 10. A prominent veterinarian accused of trying to hire a hitman to kill her ex-husband is believed to have committed suicide. When the couple divorced, Jacob faced several charges related to stalking and intimidation. In the end, he pleaded guilty to one charge of attempted cyberstalking, a misdemeanor. That happened in September of 2014. All of the other charges were dropped. Jacob said he was simply trying to see his two children at the time. "That doesn't make me a stalker," Jacob said. "That makes me a good dad." Attorney George Parnham is set to take over as Jacob's attorney again Thursday.